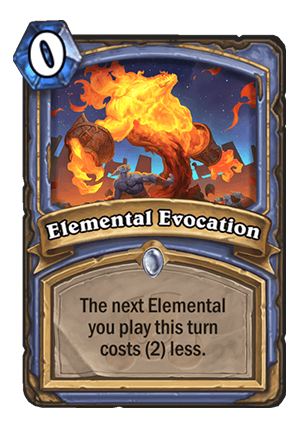 Elemental Evocation is a 0 Mana Cost Common Mage Spell card from the Rastakhan's Rumble set! The next Elemental you play this turn costs (2) less. Rating: 3.2/5. From 183 votes. Innervate for Elementals? Why not. I like the card and I think that it might be quite powerful. If you’ve ever played the Elemental Mage build with Mountain Giants, you’d know that the deck doesn’t struggle when it comes to value or card advantage. On the contrary, it’s often looking for ways to get some extra tempo on the board. This card will definitely help with that, Tempo swing potential is quite high. E.g. something as simple as Elemental Evocation + Water Elemental on T1/T2 can be like an old Innervate + Yeti, but this time it also freezes the face, so it can counter Odd Rogue. Evocation + Blazecaller can be an amazing T5 play – you can easily clear their 4-drop or 5-drop while developing a 6/6. 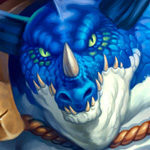 You can even get out the new Arcanosaur earlier if you need it against Aggro. The only issue I have with this card is that the Elemental deck I’ve talked about runs 2x Book of Specters, so it doesn’t want to run many spells. The current build (at least the one I’ve played) doesn’t run any other spell than those, so adding two Invocations might not be that big of a deal in terms of consistency, but still – it’s something to consider. Maybe even a more aggressive / tempo-oriented Elemental Mage build would pop out? Because T1 Nightmare Amalgam or T2 Water Elemental might even carry some games. This looks very strong. 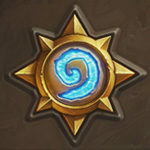 Elemental Mage will probably replace Tempo Mage now. Obviously only viable in Elemental / Big Hand Mage. Very strong in that deck though, despite Book of Specters anti-synergy. 4/5. 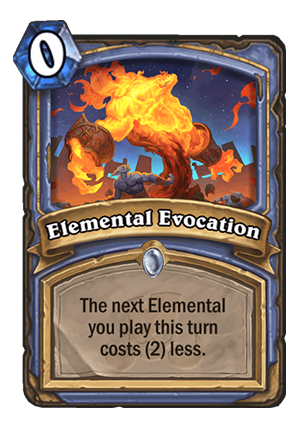 I played more than 100 ranked games with Elemental Mages this expansion and I can guarantee you, this will be auto included in all variations. People who think this is good, needs to be treated. Yeah I mean it’s not like being able to drop a 4/5 on turn one was ever a good play. Not like they had to nerf a card exclusively to deal with that play or anything. 6 mana rags in wild? Nah, garbage. who ever thought a 5 mana barron geddon was a good play is probably an idiot. being able to set up the entire quest-less mage combo in a single turn is just plain bad. Who even wanted to be able to be able to play a turn 1 tar creeper against aggro anyway, not me that’s for sure. A card you can play that actually discounts mountain giant when played? pffft. You know,now that I think about it, prep is a garbage card too. 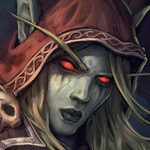 Prep is absolute garbo bottom of the barrel rogue card, has and will never see ranked play. Dude your comment made me laugh so hard and trust me I had a long time to laugh like that. Thanks. Anyway I couldn’t agree more on your comment, this card will definitely see play. At least in wild that’s for sure. Turn 2 double this into frozen crusher into turn 4 spellbreaker. Might be good to really put ruby spellstone and other efficient value to work. That’s what I was thinking but the hero power is not necessary and you lose too many good cards like bonfire elemental, that you would rather have. See, I did think about this too, however 4 of the Mage cards revealed so far have text related to Mage’s hero power (true three of them are odd, but another 1 or 2 evens along the same line might make it viable). Might be worth a theory craft. Haven’t seen anyone mention the turn 1 Fire Fly into turn 2 Elemental Envocation + Steam Surger for a total of 6/6 stats on board on turn 2. To me this seems really strong for aggro Ele Mage. Heh, they really wanted to make sure Blazecaller sees actual play in meta before it rotates out. I am fairly certain this will see play in every ele deck. It really speeds up the slowness aspect. It opens up early turn 1 defense with tar ele, t4 potential board clear with arcanoSaur, even a turn 3 babe ele 5/5 draw a card can really help establish board control. There is a lot of interesting much needed dynamic this can add to ele mage. Obviously worthless if not playing ele. Also, all the eles will be rotating out come April… so that’s worth noting. While Preparation is great in Rogue, there are factors outside of the card itself that makes it great there. Elemental Mage will most likely be a deck where Book of Specters is a mainstay, so too many spells really hurts the use of that card. Elemental Evocation could prove to be a curve fixing card, but Elemental Mage could probably also rather play cards other than this that would fix holes in their curve. I’m not quite sure, but Book of Specters is almost certainly better than this for any minion based Mage deck, and this won’t see play. Huge combos with this one.water elemental at turn 2,arcanosaur at 4 mana like duskbreaker,blast wave and celestial emmisary for clear. Looks like Archmage Antonidas is back on the menu, boys! 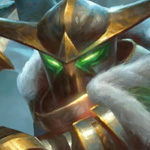 He’s actually still in wild and pretty good too, with frost nova/doomsayer combo and infinite ice blocks. What? 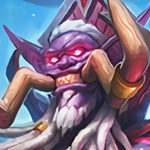 Antonidas is from the Classic set, i.e. forever Standard (until and if Hall of Fame get to him). Ahh, sorry, misread your comment. Could work particularly well for Celestial Emissary combos. I find three card combos to be a bit RNG based with draw unless your deck revolves around them like mecha’thun. Innervate for mage elementals. Seems either busted or not worth a spot.